Phase 5 version, with Scandoubler attached. 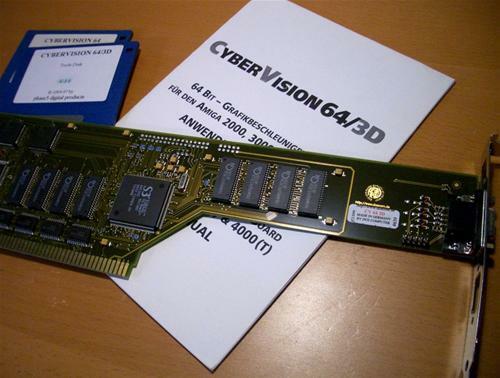 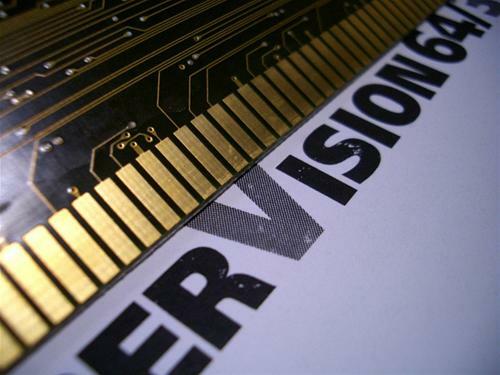 The Cybergraphics 64/3D is a Zorro II and III auto-sensing graphics card. 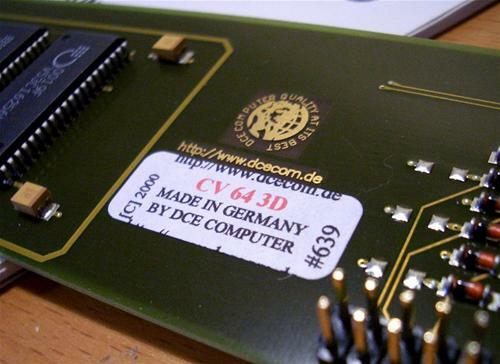 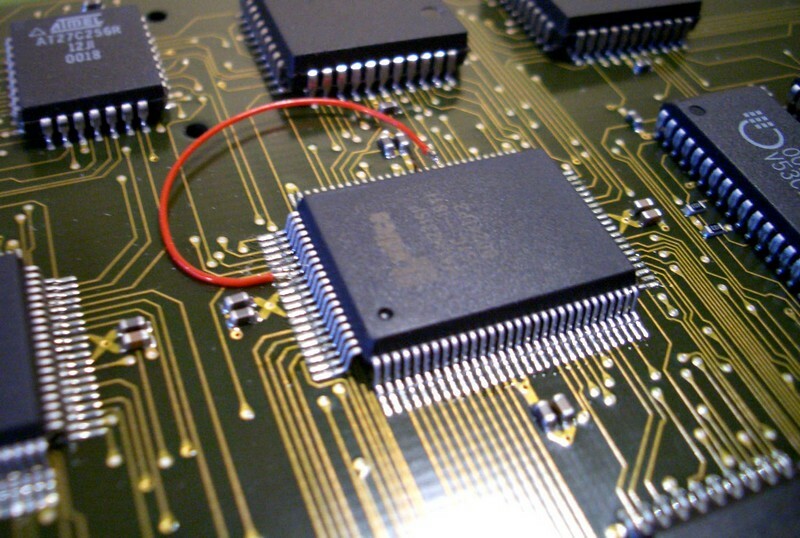 It has a pixel clock of 135Mhz (8bit), 80Mhz (16bit) and 50Mhz (32bit). It has hardware handling of complex 3D operations, hardware overlaying and DPMS power-saving. 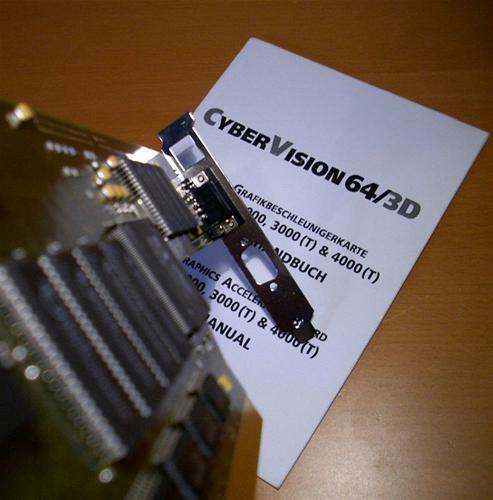 A companion scan-doubler card was also made for this graphics card which is designed to fit AGA-style video slots. 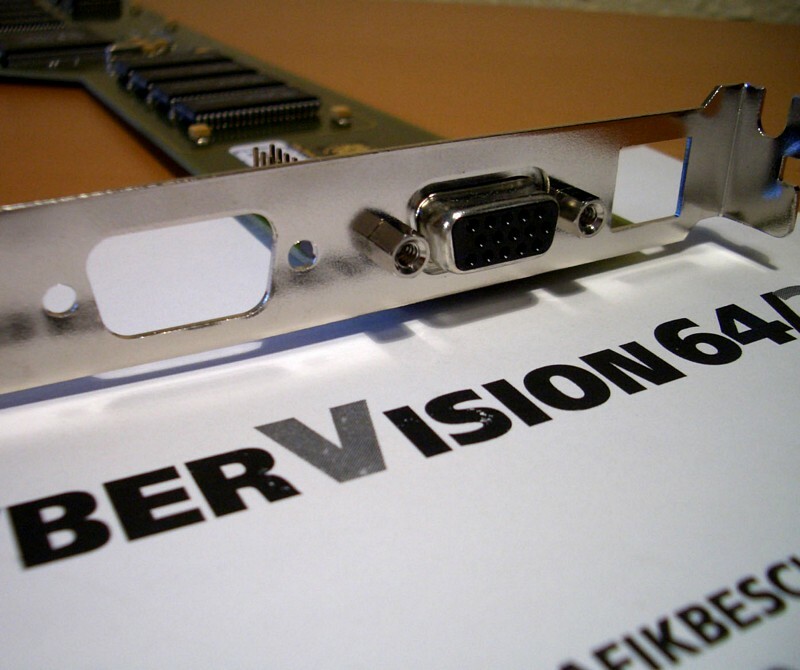 A monitor switcher and MPEG Card were also planned, although the MPEG card was made, it was never released to the public. 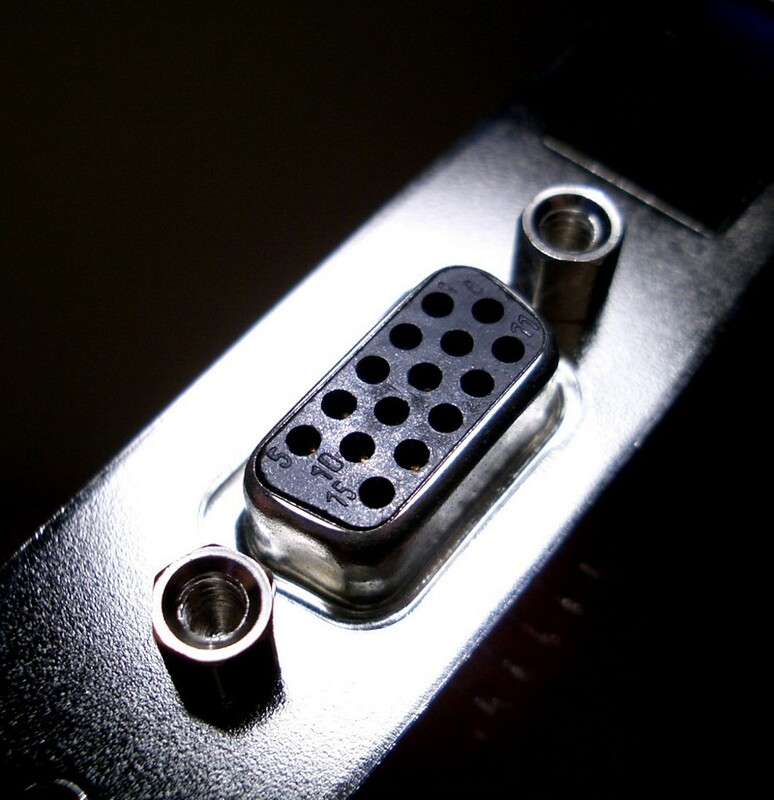 The scandoubler does not work fully in non-AGA systems, the native display is not scandoubled but is simply passed through. 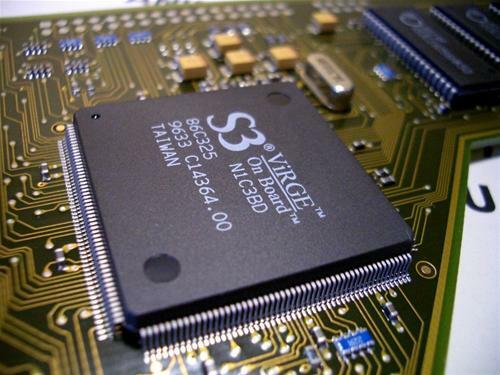 Apparently there are modules which can be used directly with the Virge DX chipset and should in theory work with the CV64/3D however drivers would be a problem. The only real difference between the original Phase 5 version of this card and the DCE Mk-II version is that the latter supports the "Fast Mode" for Zorro II found on some A1200 busboards. Page contributors: Jan Pedersen, Takahasi Kasiko.